No matter how safe a work environment or factory floor truly is, there are certain injuries and events that are just unpreventable. Accidents and mistakes happen, and when they do they can be costly not just for the business but for those involved. It can also lead to downtime or delays which exacerbates the cost of an event that much more. But what if there was a way to accurately predict potential safety events or accidents? What if you could then put measures in place to prevent those problems? Believe it or not, there is such a thing thanks to advanced analytics and data processing platforms. As a whole, predictive analytics have already helped improve a lot of operations from retail to manufacturing. Also referred to as forecasting, it involves the collection, organization and extraction of valuable insights which are then used to build accurate prediction models. If you have a dataset including information about past product launches, for example, you can then use that to build a potential success model for a new launch. This not only allows for more informed decision-making but also reveals how a situation or action will play out. How does predictive analytics apply to safety? The best predictive analytics systems incorporate a mix of machine learning and AI, data collection, statistics and deeper data mining. In its basic form, the data comes streaming in, it is then analyzed to extract useful insights, which are put to use in the real world. So, a manufacturer might be able to discern what’s causing their machines to malfunction over time, and take action. A retailer might be able to see how customers are reacting to marketing and promotional campaigns, so they can then alter their current trajectory. Maybe they stop showing a particular ad that’s affecting positive customer perceptions. It fosters a culture of perpetual improvement driven by incoming information, particularly about current performance and habits. As you’d expect, this can be applied to safety fields in many different ways. The most pertinent, however, is the strategy that constantly measures variables and then uses the collective data to build models. It won’t just help eliminate common safety issues like accidents or falls, but also will help improve the totality of the workplace. A predictive analytics system might point out a safety hazard no one even considered, or it might help improve existing safety platforms to lower risk. But how does it do all this, in practice? What are predictive analytics tools actually contributing to the process? Imagine a task or a series of movements that put a toll on the human body. The injury itself is prolonged and takes place over an extended period of time, as opposed to just a single event or action. Knee injuries are an example and are actually fairly common, but they have huge implications for both the business and workers collectively. But the kind of debilitating tasks that wear down someone’s knee can be tough to pin down at times. With predictive analytics tools, the necessary information can be ingested — prior injury reports, duty and task requirements, repetitive nature, and more — to identify potential problem areas. 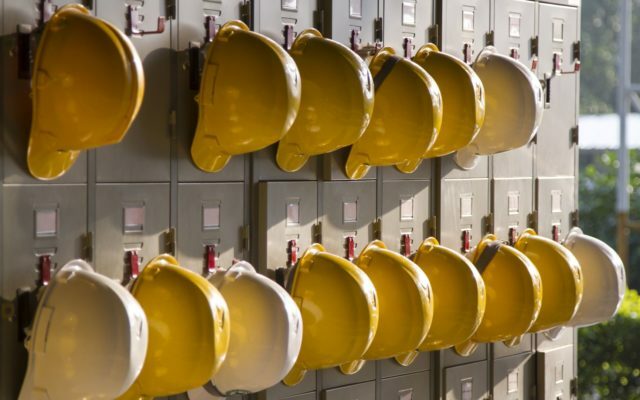 This would then allow safety managers to take action, be it providing necessary protective gear or allowing for ample breaks and shift changes. By applying advanced analytics for the prevention of workplace injuries, several organizations have already seen major improvements. One Fortune 500 energy company was able to reduce its incident rates by 67 percent within just 18 months. Another top 20 ENR contractor achieved major safety improvements across 90 percent of its worksites with no lost-time from events. Where else can safety-based predictive analytics be used? When you think of safety in terms of an organization, contractors, development and manufacturing companies come to mind first. The related environments are generally laden with risks and potential hazards. But the predictive analytics support goes way beyond that. Industries such as retail, sports and entertainment, even healthcare, would all benefit from similar tools. Imagine a system that can predict potential player injuries with ease, allowing for preventative care and support? Athletes, especially star players could reduce the number of injuries sustained while increasing their overall play times. The same exact solutions could be used in retail to prevent not just workplace injuries, but customer-related events as well. People visiting a store or location would be much safer as a result, and the parent company would see lowered costs and fewer insurance hits. It’s a universal solution for many different industries and environments, that requires active data collection and processing. The latter also means that the proper infrastructure and network must be put in place to support the entire ecosystem. But just knowing how safer operations and environments are with this technology in place, it’s clear the investment is worth it. Bimodal IT, PaaS and Containers what are they all about?